Adsorption Processes for Water Treatment discusses the application of adsorption in water purification. 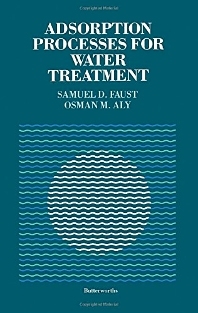 The book is comprised of 10 chapters that detail the carbon and resin adsorptive processes for potable water treatment. The text first covers the elements of surface chemistry and then proceeds to discussing adsorption models. Chapter 3 tackles the kinetics of adsorption, while Chapter 4 deals with batch systems and fixed fluid beds. Next, the book talks about the physical and chemical properties of carbon. The next two chapters discuss the adsorption of organic compounds and the removal of inorganic compounds, respectively. The eighth chapter presents operational, pilot plant, and case studies. Chapter 9 discusses the biological activated carbon treatment of drinking water, and Chapter 10 covers the adsorption of macroreticular resins. The book will be of great use to both researchers and professionals involved in the research and development of water treatment process.